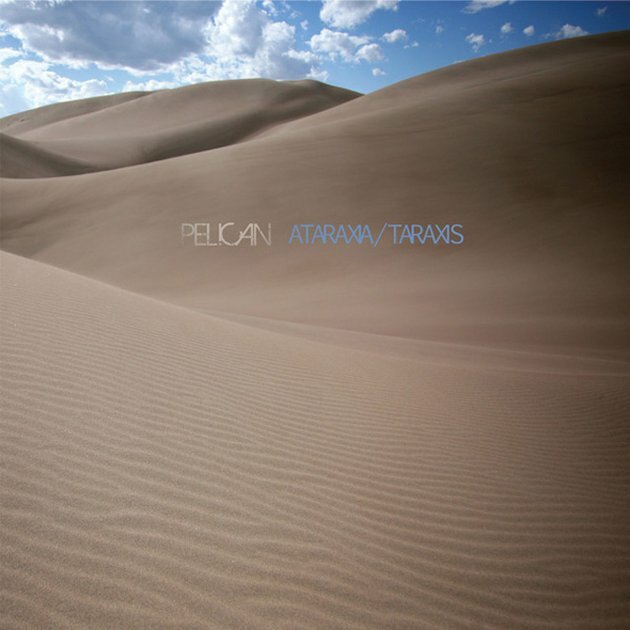 Pelican have been a little quiet for a while now, especially after the touring ended in support of last album, 2009’s What We All Come To Need. In that time, the instrumental outfit regrouped and prepared for a new chapter to open, and now with a new EP due for release on April 10th, entitled Ataraxia/Taraxis, the band is fully back in our consciousness. Guitarist, Trevor de Brauw speaks about how the EP came together and where Pelican stand in the future. First of all, what is the meaning behind the title of the new EP, Ataraxia/Taraxis? Like all things, title wise, it’s sort of a nebulous concept. It’s not meant to mean anything specific and meant to be open to a range of interpretations. Ataraxia and Taraxis are more or less of contradictory meaning. Ataraxia is one of the basic elements of the Epicurean philosophy, one of the Ancient Greek schools of thought. Ataraxia is to be free from fear or anxiety. Taraxis is more like its opposite. For all of us, there’s this mounting anxiety in the world that’s come on from over exposure to information, not that that’s a bad thing but that in the post-information age, there’s such an overwhelming sense of information coming at you that’s too fast to process. In a way, the title is a yearning for something a little more simplistic. That impulse is not always a good thing because you may shut yourself from the wave of information coming over you. [It’s] an anti-progressive stance. The title is supposed to be a philosophical conundrum of sorts. When did you start writing for this EP? Was it a long process? Yeah, I would say so. Some of the songs have their basis in stuff we were working on when we were writing the last album [What We All Come To Need], but we didn’t start initiating anything until really recently. After the last album came out, we reached a wall in terms of touring and we all needed to step away and take a break and take stock of what was going on, not only with the band, but with our personal lives because touring continuously for the better of seven years had taken its toll on us, psychologically. The band is not all located in the same city. During the writing of this EP, Bryan [Herweg, bass] and Larry [Herweg, drums] both lived in California and Laurent [Schroeder-Lebec, guitars] and myself live in Chicago. Since we weren’t touring, we didn’t see each other as much. In the past, on tour, we would find time to write, or before and after the tour. With this outing, it was less centralised. It did take quite a while to figure out what a new writing process could look like in this band. With the aid of technology and file trading, everybody had access to it, and we have some sort of home recording set up, we were able to piece together [the songs]. 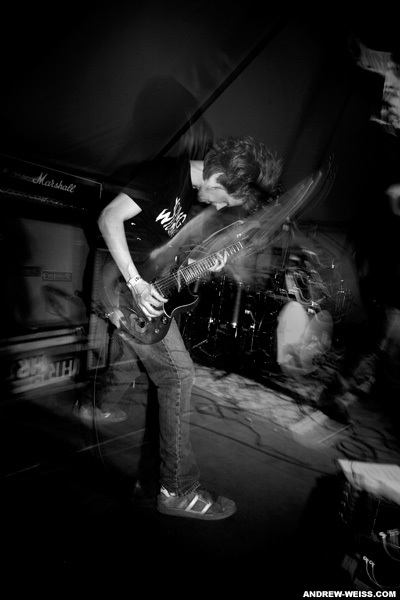 Former Isis drummer Aaron Harris was involved in the recording of the EP. How did you come about working with him and what was he like to work with? That’s what’s interesting about this EP; I actually never worked with Aaron. The recording of this EP was very fragmented and it was very different from anything we’ve done in the past. We’ve had elements of trading files back and forth to learn each other’s parts and we’d always have moments where we learned the songs together and play in a room together and then go to a studio, but with this recording, it wasn’t like that at all. Larry literally went to the studio with Aaron Harris and recorded his drum parts and sent them to us and then we recorded our parts in Chicago. We never entered a studio with Aaron or Larry at all. We’ve known Aaron for a really long time and he has done live sounds for us in LA on a couple of occasions, so Larry and him are really close friends. It really made sense to do the drums with him because we needed the sound to be good. You released an EP called Ephemeral in early 2009 and followed it with an album later in the year. Is something similar planned for 2012? We definitely had a sense that we wanted to precede the next album with an EP, which is something we’ve done on all of our albums except for City of Echoes. In this case, unlike the other times, we don’t have a recording date set up for the next record. We aren’t done writing the new album. In some ways it’s meant to set up the next record but in other ways it’s meant as a standalone piece because we’re not exactly sure when the next record is going to happen. Just how much of the next album is written? We have a couple of songs done and many other things that we’re hashing out. It’s coming together in pieces, but it’s starting to have some form to it. You’ve got some European touring coming up soon, including a set at Roadburn. What will be your touring plans for the rest of the year? Not that much, honestly. When we hit our wall with touring, all of us had to go and get jobs [laughs], because there was no other way to sustain ourselves. It’s harder to make time for touring than it used to be. We can’t really get out on the road for several months of the year. So this European tour is rather brief, it’s two weeks, which is one of our shortest journeys over there. We’ll try to do something else; we’re trying to find means to go back to other places, like Japan and Australia. Obviously, we would like to play in the States as well. In terms of longer tours, it’s not as possible as it used to be. You’re currently running a contest for a fan to create a music video for the track ‘Lathe Biosas’, which is open until April 3rd. Why did you decide to open up the making of the video to fans? People are always coming to us with their art and suggesting that we work with them. More often than not, it’s visual art for record sleeves or t-shirts. With regards to those things, we have a very tight knit network of people to work with. Whereas with the videos, we know a few people that do that. We wanted to open it up to people and see what they had, because we know that we have so many creative fans. It just seemed like an interesting idea and something that would engage our fan base. We wanted to see what was possible. People always offer their services for things that we don’t really have an opening for, so maybe we could make an opening available. Have you seen any of the entries yet? I haven’t had a chance to see any yet but I’m looking forward to looking over everything. Regarding the cover of Ataraxia/Taraxis, who did the artwork for this release? We went back to the same guy who did the photography for What We All Come To Need, a friend of ours from Arizona, Andrew Weiss. The photography was strong so we just had Aaron [Edge] from Southern Lord do the whole layout over the photography untouched. It was supposed to tie back to the Ephemeral EP; it was also just photos that were relatively untampered with. We kind of wanted to develop an untampered with photography theme for our Southern Lord EPs, where in some of our other artwork there’s a lot more affecting the photography. Outside of Pelican, some of you are involved in other projects. Larry is also in Aeges who have a new record out next month too. Do you or the rest of the band have other projects that you’re working on? Bryan and Laurent, not much. I have an ambient group called Chord, we’ve done a couple of records and we have more records coming out in the spring on a UK label called MIEMusic. Then I have a band that’s kind of hard to classify that I play in bass in. They’re kind of a gothy pop band called Let’s Pet. We’re actually recording but I don’t know what we’re going to do with the recordings. Ataraxia/Taraxisis released April 10th on Southern Lord. Click HERE for Pelican’s full European tour dates for next month.